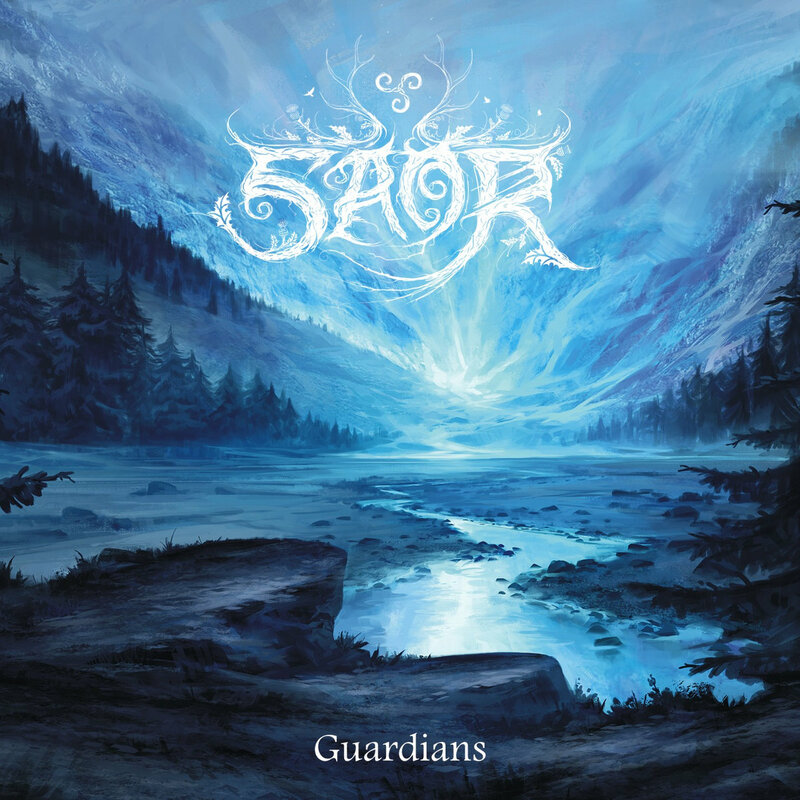 Saor is an atmospheric folk black metal band that hails from Scotland, a fact that is driven home by the incredible and awesome use of bagpipes. I liked their "debut" album Aura when it came out in 2014, as it reminded me of an album that appeared on my Best of 2013 list, Roots by Àrsaidh... wouldn't you know it, they're the same band! I felt like a hybrid terrible fan and absolute moron when I learned that, and vowed to pay closer attention. Which I did by missing Guardians, the new album from Saor that came out in November of last year. So in keeping with my tradition of playing catch up in January, I'm here to give you my thoughts on the album that has consumed most of my early 2017 listening. "Guardians' starts things off with a plucked guitar melody that is quickly joined by the bagpipes. The bagpipes feature heavily is Saor's work, and I don't know if it's just my unfamiliarity with the instrument, but I absolutely love it. From the first bagpipe note, Guardians feels sweeping and soaring in a way that's far more power metal than black metal; as the song continues, you'd be forgiven for thinking that with Marco Hietala's and Tarja Turunen/Anette Olzon/Floor Jansen's vocals instead of Saor mastermind Andy Marshall, "Guardians" was Nightwish thinking way outside their box. The way that even the most ferocious of blast beat-backed riffs are countered with layered melodies is probably the strongest aspect of Guardians, as it rewards multiple listens of the album and elicits multiple emotional reactions simultaneously. "The Declaration" pushes the melodies further back, with far more black metal sensibilities at the forefront of the track before moving in to a midsection of the song that is beautifully dirge-like. All of the tracks on Guardians break the ten-minute mark, and while at times there does feel like a little fat could be trimmed, for the most part Marshall does a fantastic job of using the long runtimes to explore and expound upon different ideas and sounds while bending genre conventions. Closing track "Tears of a Nation" is easily Guardians' highlight. While still as soaring and vibrant as the rest of the album, "Tears of a Nation" also builds to a truly heartbreaking crescendo; nowhere are Guardians' complimentary pieces as they are here. For the song to sound as uplifting as it does, while still reducing your heart to mush is just another testament to Marshall's skill as a songwriter. Guardians is a sweeping, grandiose album that fully revels in its atmospheric excess. There's just something uplifting about the music Saor makes, even in the mournful "Tears of a Nation," which is a relatively rare sentiment to pull from this genre of music. I honestly believe that Andy Marshall and Saor deserve to be spoken of with the same reverence metalheads give Austin Lunn and Panopticon; both one man projects incorporate music from their makers' homelands into the more traditional aspects of black metal with tremendous results. And while Saor may not yet have an album on the level of Panopticon's Roads to the North (and really though, who does? ), Marshall has certainly shown the talent required to make one. Guardians is a fantastic listen that stands out in many ways, and I feel stupid for being two months late to its party. Rest assured I'll be on time for whatever this wonderful band does next.